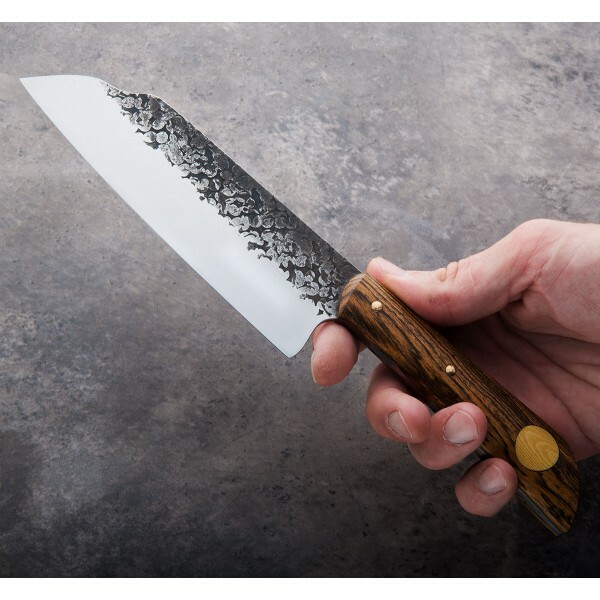 Forged to shape from 52100 carbon steel and treated with textured flats and mirror-polished bevels, this new version of the Step Santoku is another unique and captivating design from Don Carlos Andrade that performs as even better than it looks. 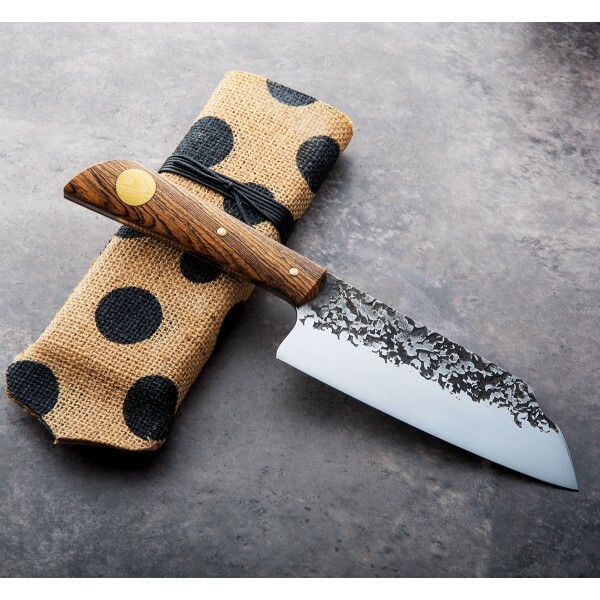 The versatile 175mm / 5.9" blade is wide at the spine and thin behind the edge, excellent for a variety of daily tasks, and at 8.6oz / 244g, it can perform much like a vegetable cleaver for effortless prep work all day long. 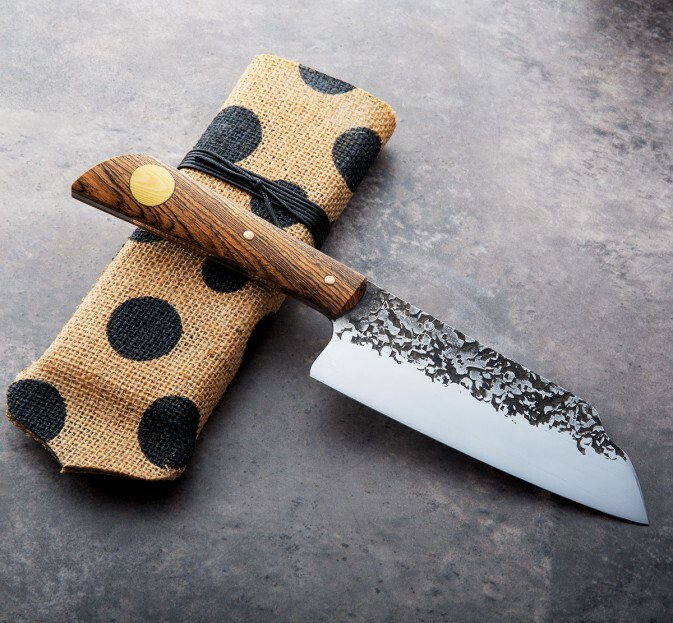 The bocote wood and antique ivory micarta inlay are a beautiful match and complement the mirror polished spine and choil nicely. A cloth covered protective case is included. 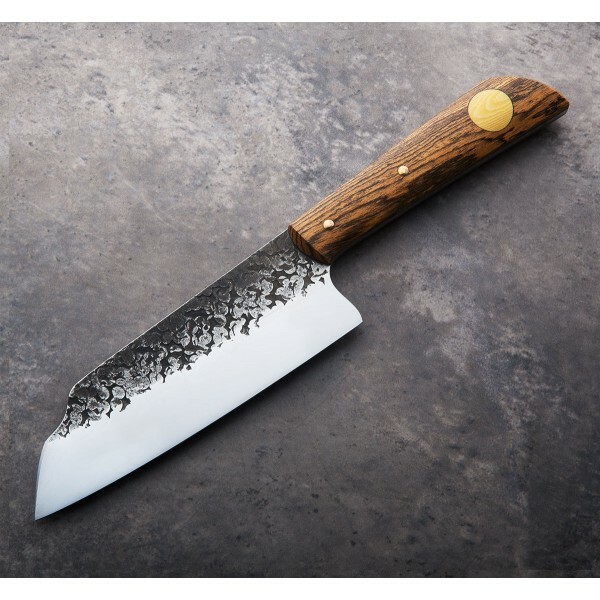 Don Carlos Andrade, a formally trained chef and true artist, handcrafts each of his custom chef knives at this shop in the Southern California town of Los Osos. 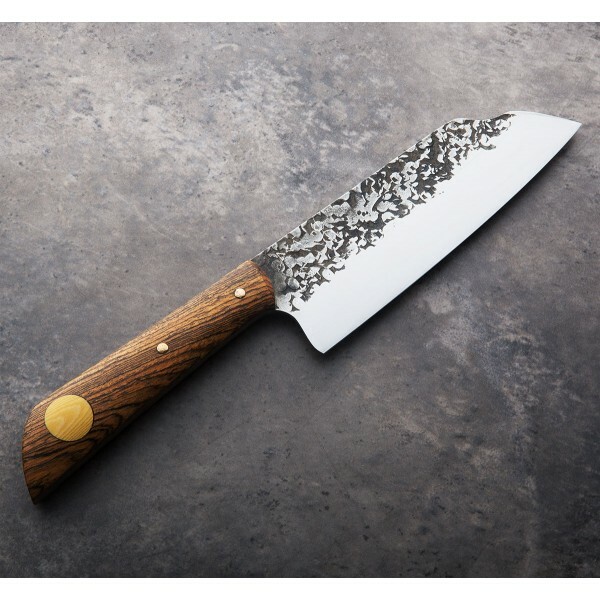 Bladesmithing for over a decade, Don focuses on the nuances of edge geometry and heat treatment to create heirloom quality tools that are built to last for generations and are meant to bring people together in their kitchens to enhance the joy of cooking and breaking bread together. 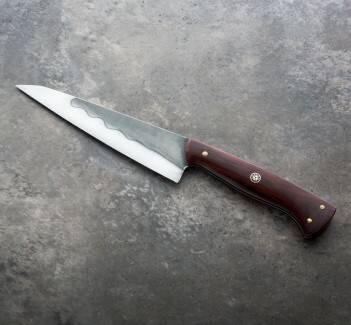 Blade length: 5.9" (150mm).  Overall length: 10.75". Blade width at heel: 3mm. 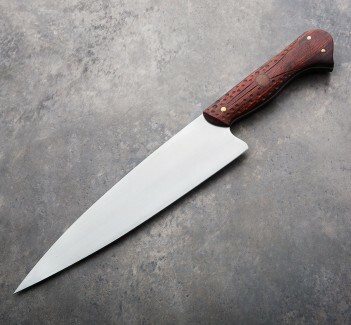 Blade height at heel: 49mm. Weight: 8.6oz / 244g. 52100 carbon steel blade with forged-textured finish and mirror polished bevels.. Bocote wood handle, antique ivory micarta inlay, peened silicon bronze pins.